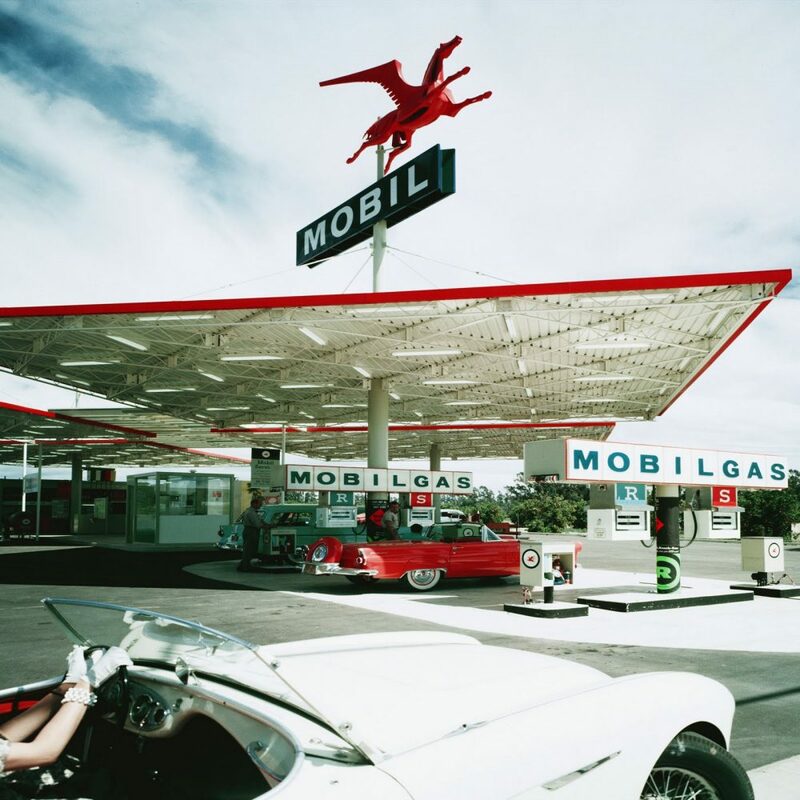 Journal: Why Are Stylish Gas Stations A Thing Of The Past? 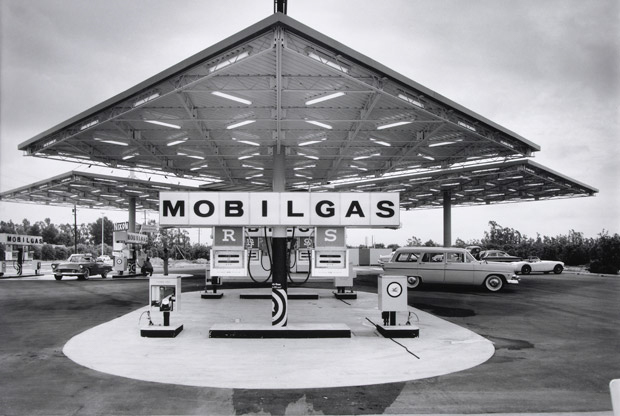 Why Are Stylish Gas Stations A Thing Of The Past? With a few notable exceptions, modern fueling stations are often a mishmash of depressingly decaying features: old bolts rusting onto cracked concrete, a plethora of punchy advertisements for junk (and junk food), and architecture inspired by the inside of a cereal box. 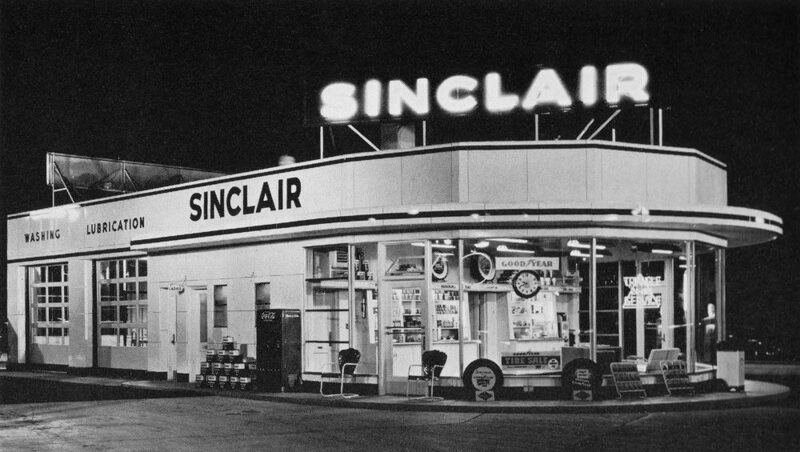 Yes, we’re cherry-picking some fantastic examples of retro gas stations, and yes, many older stops were little more than some pumps and attendants—but what gives? Why can’t all stations look fantastic? Now, with more choice than ever, you’re able to buy cars that run on electricity, biofuels, diesel, propane, gasoline, and hydrogen. Perhaps an enterprising firm could transform the forecourt into an area that attracts customers who actually want to be there, instead of the get-in-and-get-out cycle that happens today. 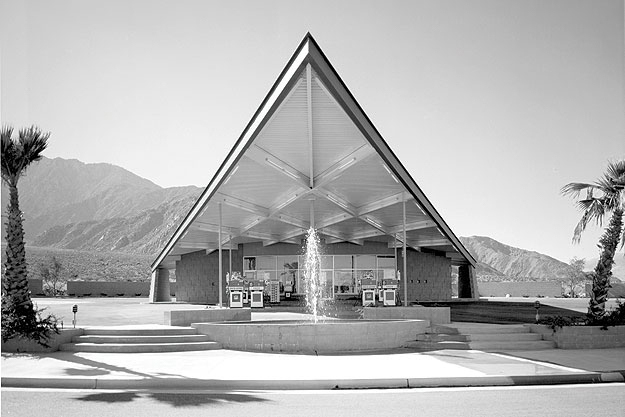 I’d gladly hang out at a modernist gas station. 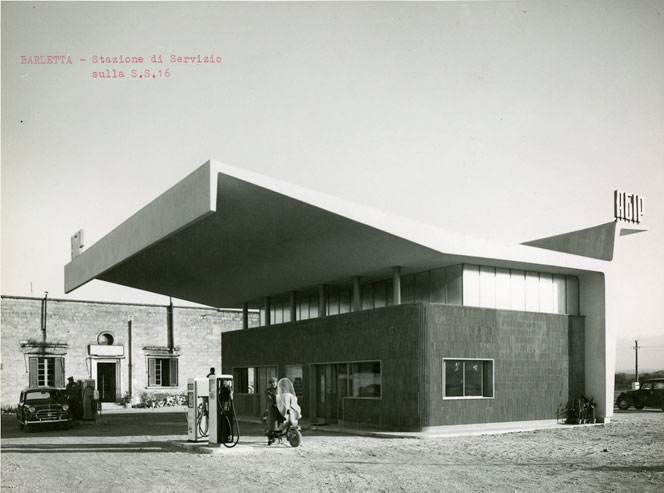 In fact, beautiful but disused designs, like Ludwig Mies van der Rohe’s Nun’s Island station near Montreal, Canada or the ex-Agip station at Piazzale Accursio that Mario Bacciocchi designed are finding new life today. The former is now a beautiful community centre, while the latter is headquarters for Lapo Elkann’s innovative Garage Italia Customs. Journal Volkswagen Started a Good "Thing"
The one at upper right of the big group of photos is in Palm Springs, California. 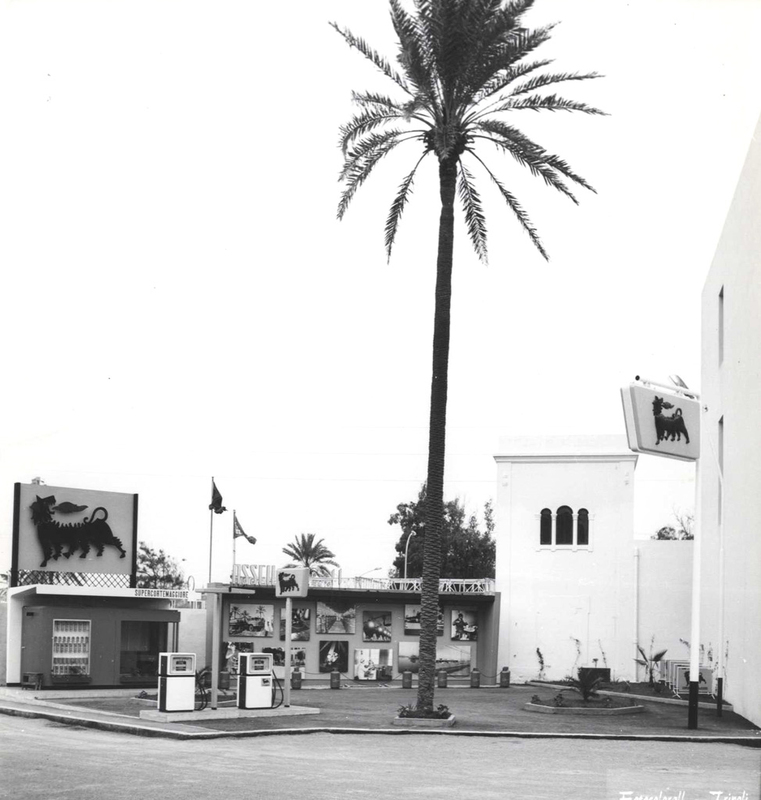 It was a Tramway Gas station, and is now the Palm Springs Visitor Center. 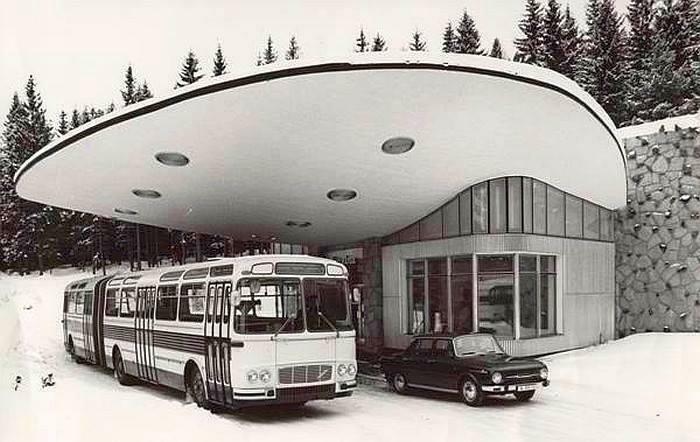 even in communist block there were some nice petrol stations. This in High Tatras mountain spa town Smokovec. Reconstructed (destroyed) these days..
Maybe it’s because the stock market demands short term gains every quarter. Once companies went public in order to gain access to the capital that would allow growth that would serve customers, owners and workers. 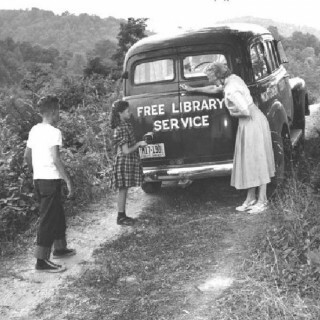 When long term growth was the goal, there were resources enough for some style. 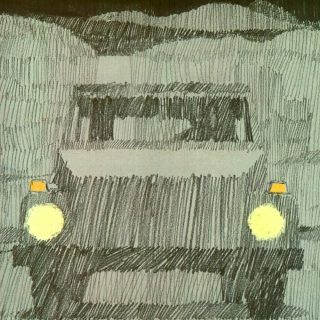 Now it’s bare bones. 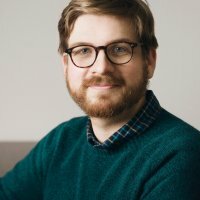 Cut the bottom line to buy back stock and increase the dividend. Style is not a priority. The building will be torn down in 10 years, anyway. 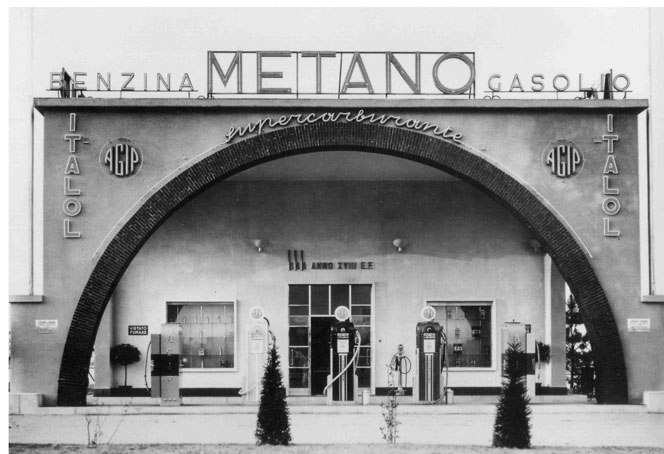 Has always been a dream to restore a small gas station to run a shop and design studio out of it. As for actual gas stations – it’s unfortunate that the bottom line squeezes out creativity (as is true for any corporate network). Same reason every Walmart also looks identical. 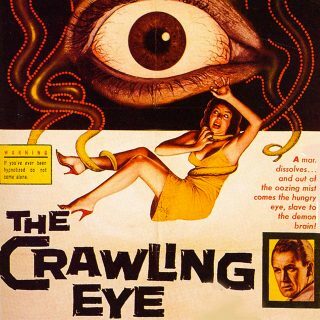 Corporate homogenization. In Denmark this beautiful station designed by world famous architecht Arne Jacobsen. From the 50’s and still in daily use. 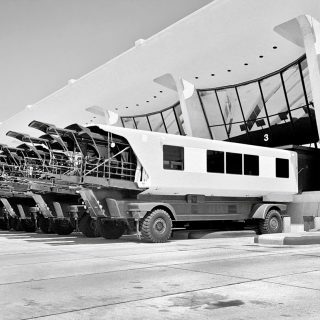 Another L.A. preserved example… A small gem. United Oil, Slauson at La Brea, Los Angeles, Kanner architects, 2009. We recently had one of our cities first filling stations remodeled into a wine bar, fitting they named it The Station. It’s a small 1920’s 2 bay garage, but it has plenty of art deco flavoring. I wish it had remained something automotive related but really I’m just happy someone did something with the building rather then tear it down. 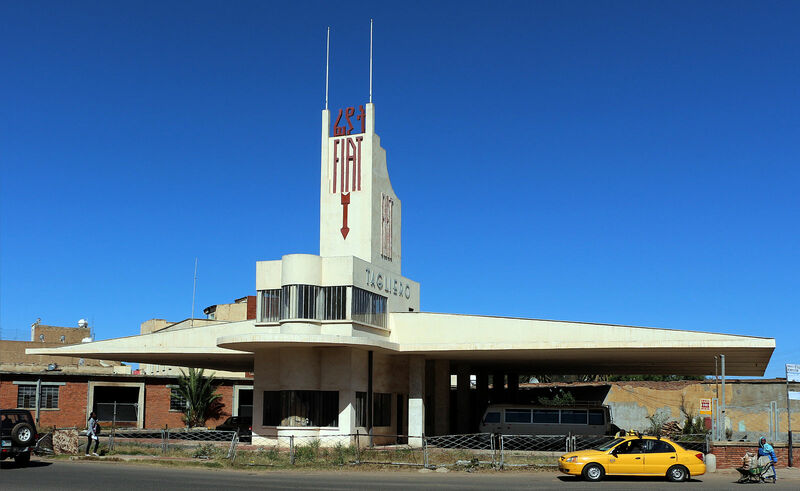 I think that the old Fiat-Tagliero petrol station in Asmara, Eritrea. 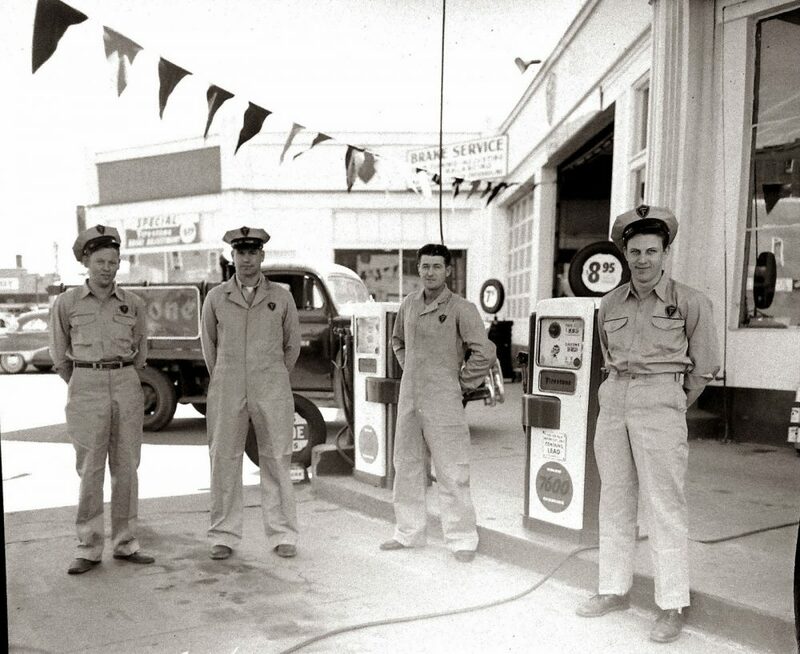 Is another great example that the petrol stations in the past are better than the new one. That’s said I think. 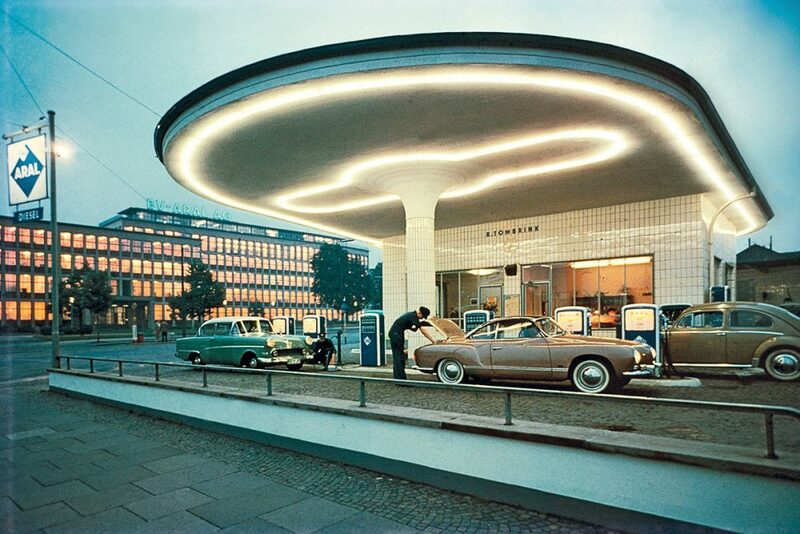 Well..in Europe we actually have modern-stylish gas stations 😕 . And there are still some 50’s and 60’s petrol stations scatered around the many backroads Portugal has! 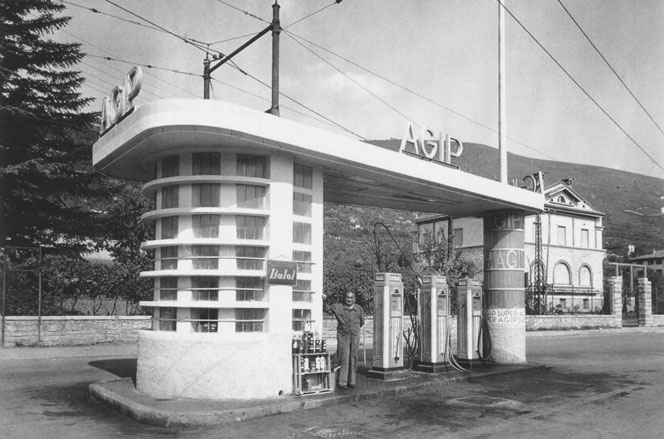 In Milan, the beautiful AGIP Piazzale Accursio gas station has been recently purchased by Lapo Elkann, Gianni Agnelli nephew, and is being transformed into a car shop. 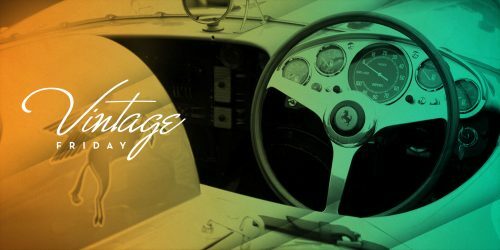 Sadly, it is looking like they will just apply questionable vinyl wraps to exotic cars. 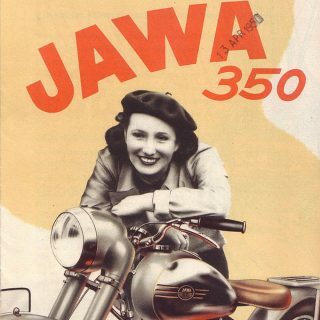 Every time i passed by with my friends, we always dreamt to purchase it and make it a true shop with a diner on the second floor. 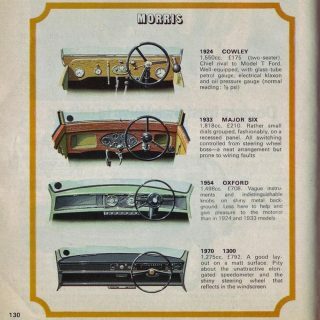 I want a set of those ” M O B I L G A S ” letters for the garage.